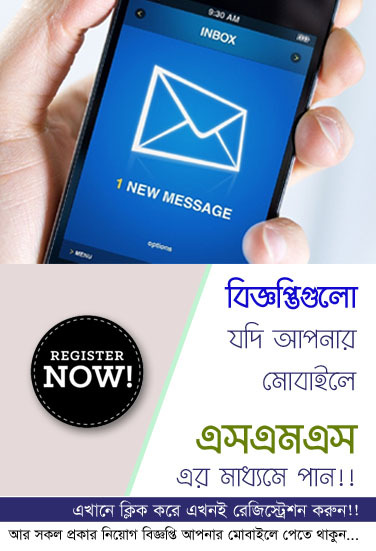 Recently Bangladesh Police Announced Police Trainee Recruit Constable (TRC) Job circular at there official website www.police.gov.bd. Bangladesh Police Job Circular offer total 10,000 New vacancy in this circular. Male 8,500 and Female 1,500. SSC/Equivalent Student also apply this Bangladesh Police Constable Job circular 2018. 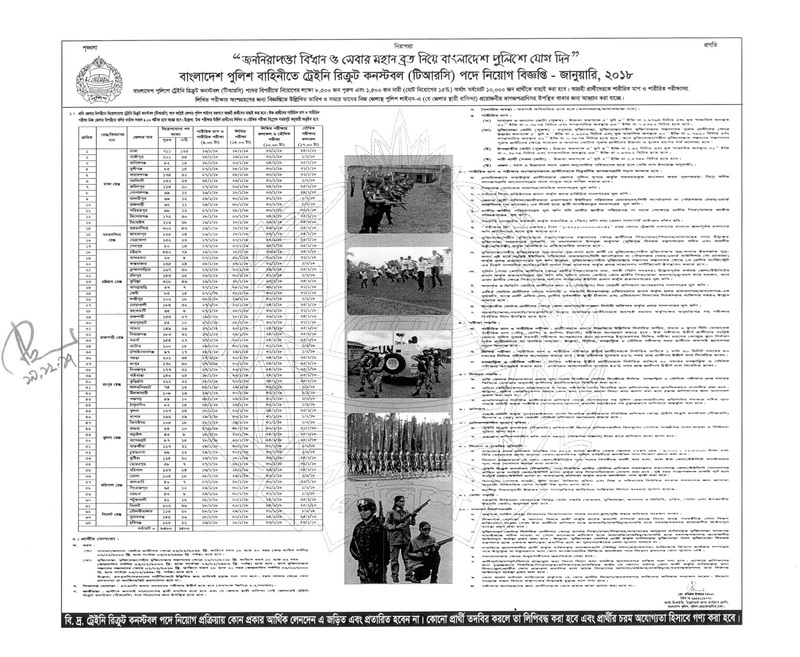 You may also check this circular details and recruitment notice, result from www.police.gov.bd and also our website www.chomebd.com. You have to submit your document before 18-12-2017 to 17 January 2018. Bangladesh Police Constable Job Circular 2018. Bangladesh Police Constable Trainee Officer Job Circular 2018 has been declared in BP (Bangladesh Police) website at www.police.gov.bd & also our website. Concerned applicants are capable of download this job notice from our website. Bangladesh Police Constable Job Circular 2018 in 19th December 2017. Overall 10 Thousands officer will be appointed for the post of Trainee Recruit Constable. 8500 are male Trainee Recruit Constable & another 1500 are female Trainee Recruit Constable. Bangladesh Police Constable Trainee Officer Job Circular 2018 primary collection method will begin in 16th January 2017 & it will end in 29th January 2018. All exams will begin at 9:00am. Total 64 districts concerned applicants will apply for the post of Trainee Recruit Constable. Bangladesh Police Job Circular 2017 will publish very soon in Bangladesh Police official website and national daily newspapers. We also attach the circular in this page. Total 20,000 polices will be taken through this circular for post Trainee Recruit Constable. Name of Post: “Trainee Recruit Constable”. Number of Post: Overall 10 Thousands. Total marks of exam: 60 (40 marks for written exam & another 20 for viva). Pass mark of exam: 45 percent. Age: general/other quota is must be 18 – 20 years. But for freedom fighter or freedom fighter’s children is must be 18 – 32 years old. Instructive Requirement: Involved applicants have to complete SSC/equivalent exam. Nationality: Concerned applicants have to be Bangladeshi by birth. Marital position: Concerned applicants have to be unmarried (single) but not divorced. Height for male applicant: 6764 mt or 5’ 6” (except freedom fighter or freedom fighters son). Freedom fighter/freedom fighters son height is 1.62 meter or 5’ 4”. Height for female applicant: 58 meter or 5’ 2”. Chest for male applicant: 31” or 0.7874 meter for normal state & 33” or 0.7620 meter for extended state. Weight: Weight will be approved by age. Who successfully passed primary selection and also Written Test and Viva voice. They Will be Selected For Recruit. But Application have to face Police Verification and Medical Test. All Successful Candidates of Police Verification and Medical Test Will be Selected For Training Period. On 01 January 2018 Candidates Age must be 18 to 20 years. On 01 January 2018 Candidates Age must be 18 to 32 years For Freedom Fighter Quota (FFQ) but Grandchild of Freedom fighter’s Age must be 18 to 20 years.